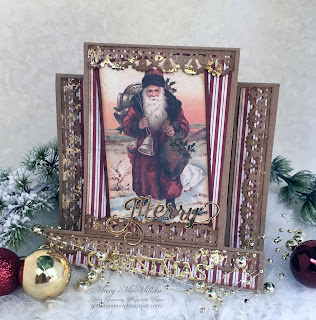 This month's challenge came to us by Helen N. Thanks Helen, this was a fun card to create. I'd been thinking about what to make for a few weeks. This morning it came together quickly. As you probably have guessed, I love vintage cards. 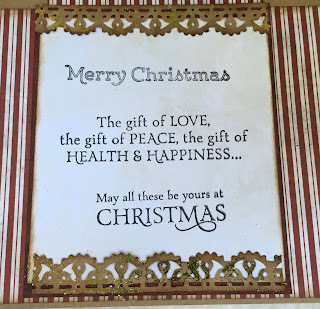 I have a sheet of Santa Graphics and this one fit the card perfectly. I did a lot of border punching and added the punched borders pretty much everywhere. The photo doesn't show the gold very well, but I added touches of gold to the punched borders. The sentiment was added and the front of this card is complete. 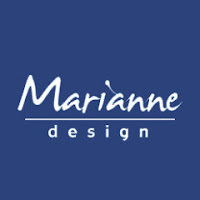 This month's sponsor is Marianne Design. 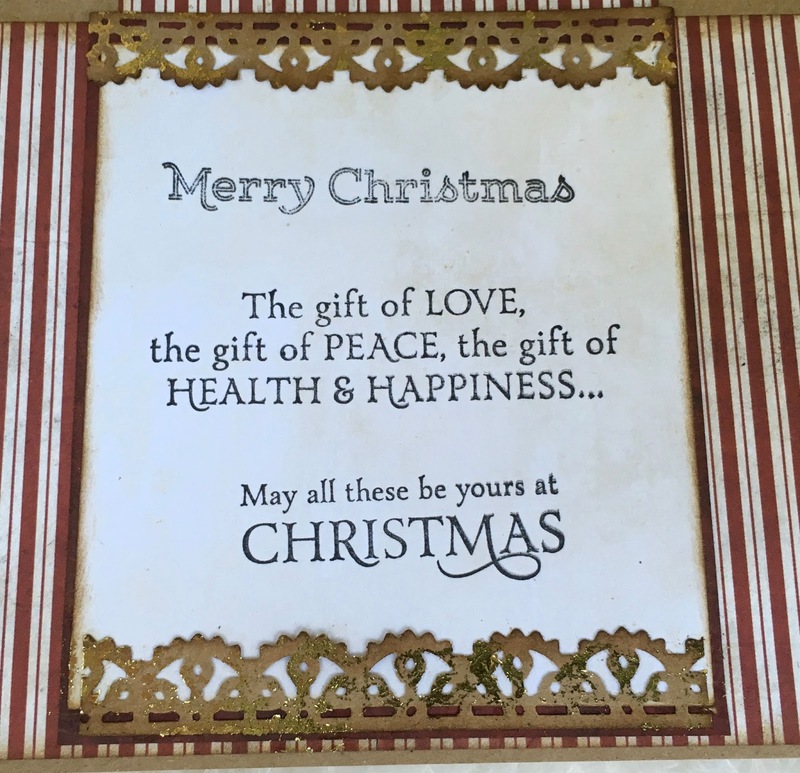 And if you want to know about what you could win... hop on over to Sparkles Christmas Challenge You'll find the rules for entry and learn more about the exciting prize. I'm off for the Monday Play Day with the girls. Maybe I'll get something done and I can post it later. I say maybe because on girls play day there is a lot of laughing, a little eating, and then if there is time, we will actually work on projects! I'll bet it sounds a lot like play days in your neighborhood. This is so lovely l like the layout of your wonderful card so beautifully presented too!